In LDWin5, On the web side of the program under Configure->Client Scan Code Mapper - there is a way to configure the documents that you scan for your clients and some abbreviations for them. In LDMax, this is on the client profile as Scan Mapper. Your program can be set up to FTP/SFTP scanned documents to a client using these parameters. All we need is the FTP credentials from your client and we can set it up. you set up) denoting the document type and _123456 being a random number to insure that there are no duplicates because many clients have the same file number for multiple defs on the same case. 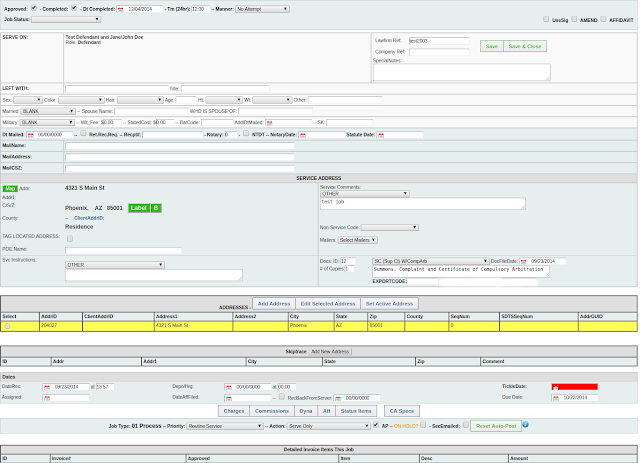 When there is no file# on the JOB screen (LawFirmFile#/LawFirmRef), then it will not pull that job/document for scanning. The program will email you every time it fires so that you know it fired and checked for scans. We can set it to any interval to check and upload scans. This is VERY flexible as some law firms may want adjustments to that format and some won't. Just let us know, we used to have to charge custom programming for this, but if we can fit it into this script (and we probably can), its free to good home! Let us know if you need this for photos too. Market this to your clients, they like this. This is usually something your competitors have to do manually or set up with difficulty on a custom basis.